ImprovementAudio.com : Downloadable audiobooks in mp3 format. Our audiobooks are in mp3 format. Mp3 files can be played on your computer using the standard audio player software which comes with most computers (such as Windows Media Player, Quicktime or Real Audio Player software etc.). You are also welcome to upload them to a portable mp3 player or burn them to a cd for your personal use. We use paydotcom to securely process our instant online payments (credit card, debit card, echeck, paypal etc.). Once your payment has been processed you will need to click the 'click here to complete your order' button. 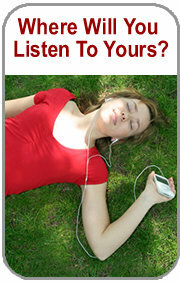 You will then be automatically forwarded to the audiobook download page.